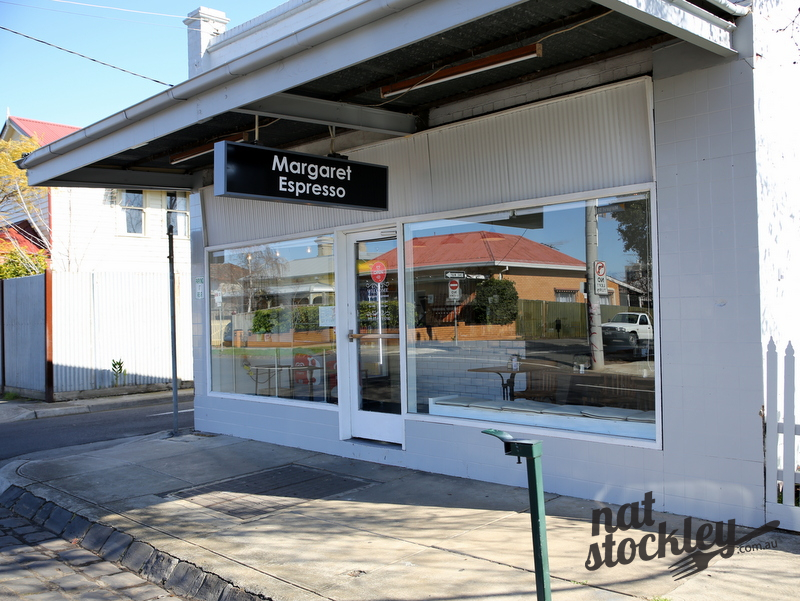 Margaret Espresso had been trading for a few months before I discovered its existence. 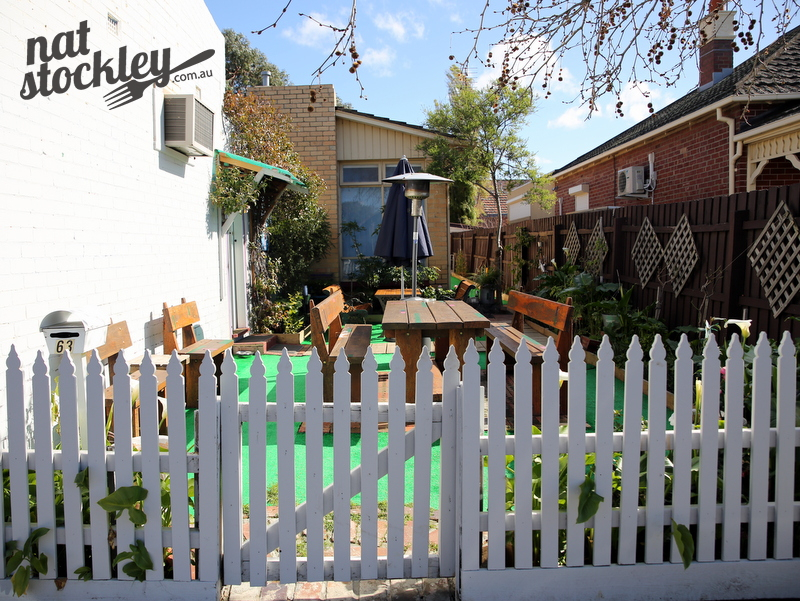 It’s only a few hundred metres away from the commotion of Moonee Ponds train station, but its unconventional location in a quiet residential street seems an entire world away. 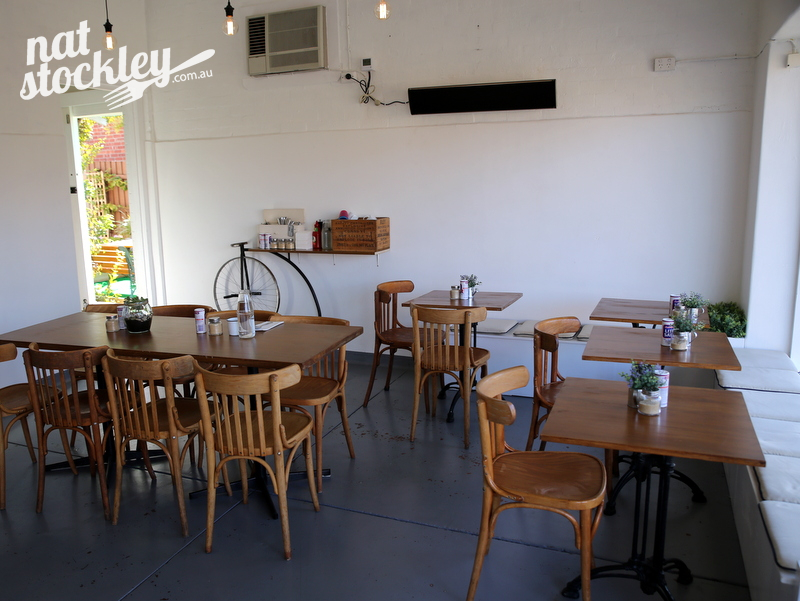 This endearing little café features a mostly monochromatic colour scheme with seating for around twenty patrons. There’s a gorgeous adjoining courtyard complete with chunky wooden furniture and a classic white picket fence. Getting a permit for the premises reportedly took over 8 months, no doubt primarily because the café is surrounded entirely by residential housing. 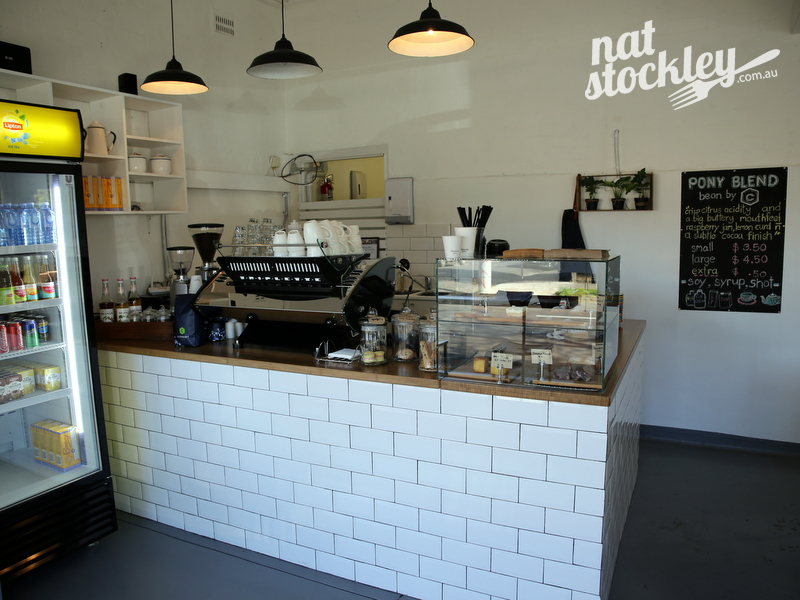 The site had formerly been home to a local milk bar that decided it was time to call it a day. 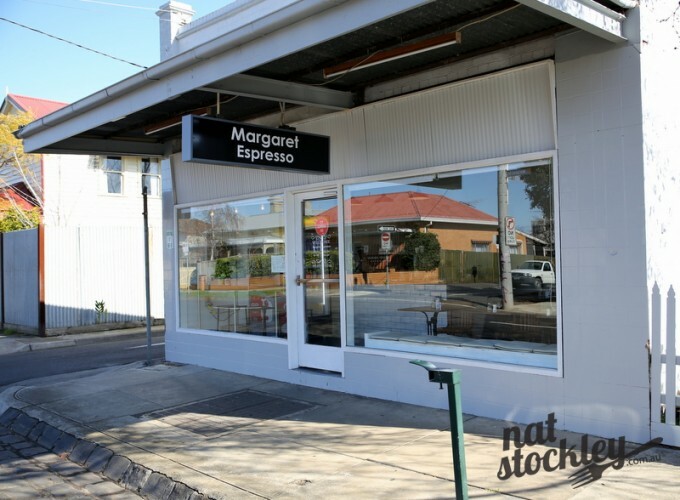 Owners Pat & Bobby have both worked in a variety of hospitality roles prior to opening Margaret Espresso and continue to operate a Thai restaurant within the Melbourne CBD called Lost Angel. 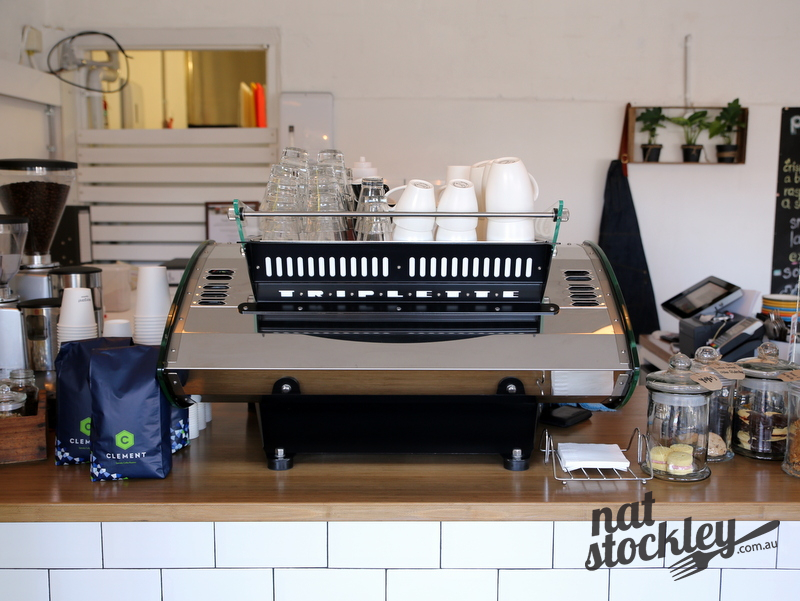 One of the most startling features of this café is the striking Mirage Triplette espresso machine that takes pride of place on the front counter. 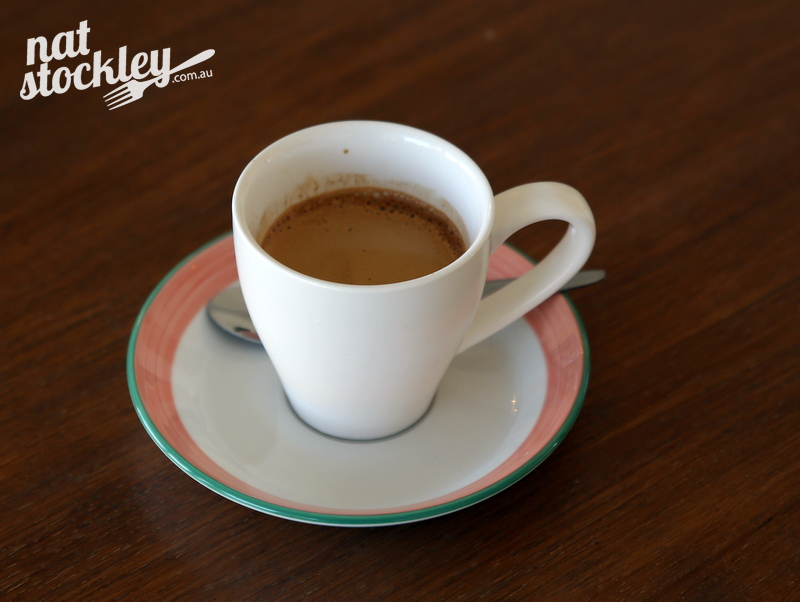 Pat & Bobby are very serious about their coffee & evaluated many options before choosing to go with Clements coffee (part of the St Ali family). 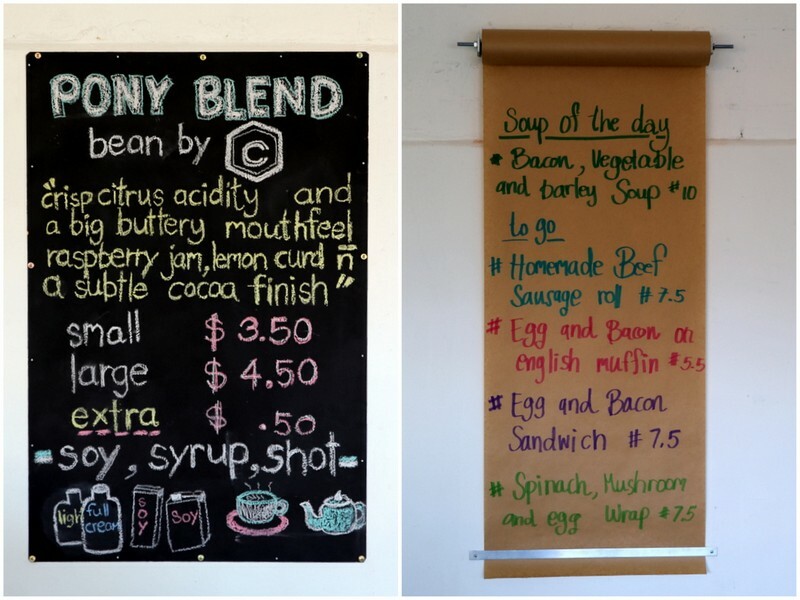 At the time of my visit, they were serving the Pony blend, but the intention is to introduce some single origin options down the track. 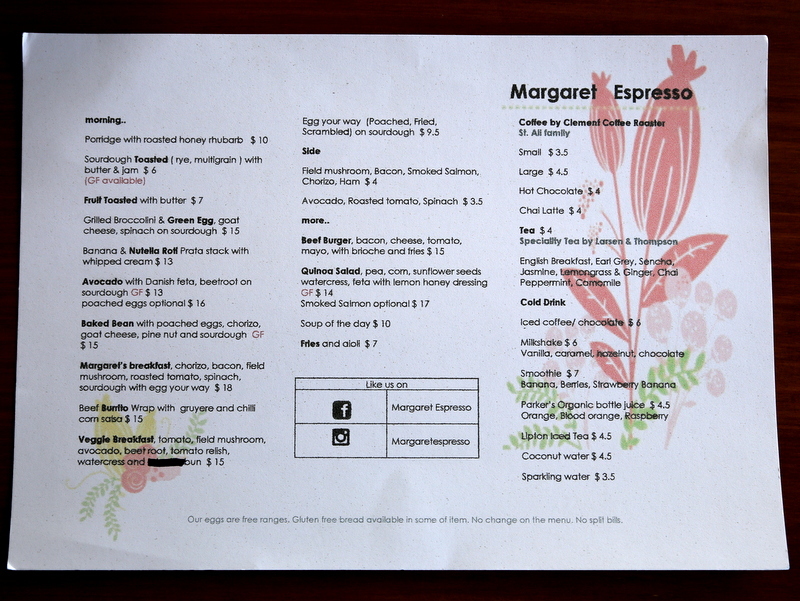 The menu seems skewed towards breakfast with eggs and variations on the cooked breakfast well represented. 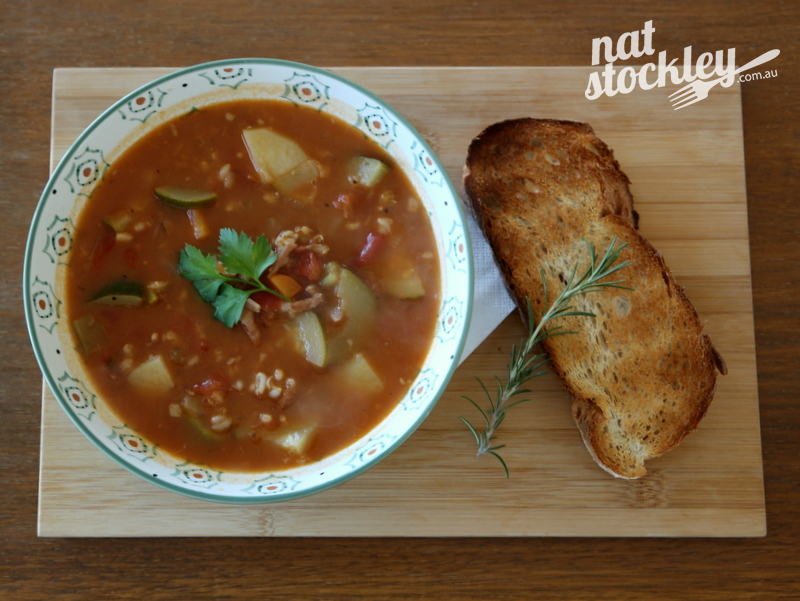 Visiting at lunch time, I order the bacon, vegetable & barley soup which ticks the wholesome & hearty boxes. On a visit a few days later I opt for the house made sausage roll which comprises a delicate golden pastry & meaty filling flecked with finely diced vegetables. I suspect the menu is very much a work in progress that will continue to evolve as their customer base broadens. In the interim, I do like that chef Bobby is baking cakes, slices, brownies, muffins & more in house. 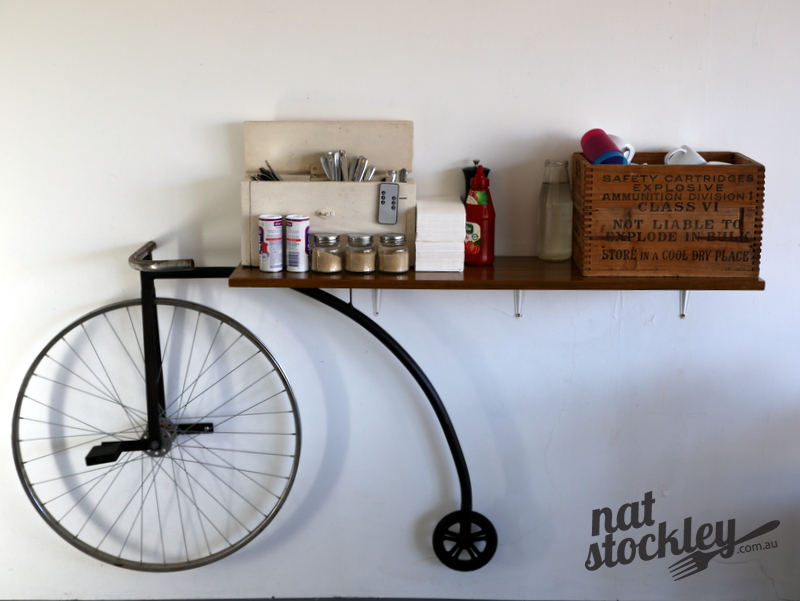 As a nod to the shop’s past, there’s fresh milk available for purchase and a freezer stocked with Streets ice creams which will no doubt strike a chord with the kids in the street once the weather warms up. Puckle Street can be mostly mediocre when it comes to cafes, so I’m delighted to have discovered this little oasis tucked away in the backstreets of Moonee Ponds.